Eating yoghurt and low-fat cheese can cut the risk of developing diabetes by around a quarter compared with consuming none, according to a study of 3,500 Britons published on Wednesday. Eating yoghurt and low-fat cheese can cut the risk of developing diabetes by around a quarter compared with consuming none, according to a study of 3 500 Britons published on Wednesday. The evidence comes from a long-term health survey of men and women living in the eastern county of Norfolk, whose eating and drinking habits were detailed at the start of the investigation. During the study's 11-year span, 753 people in the group developed adult-onset, also called Type 2, diabetes. Those who ate low-fat fermented dairy products -- a category that includes yoghurts, fromage frais and low-fat cottage cheese -- were 24 percent less likely to develop the disease compared to counterparts who ate none of these products. When examined separately from the other low-fat dairy products, yoghurt by itself was associated with a 28-percent reduced risk. People in this category ate on average four and a half standard 125-gramme (4.4-ounce) pots of yoghurt each week. Those who ate a yoghurt for a snack, instead of a packet of crisps, had a whopping 47-percent reduction in the probability of developing diabetes. Only low-fat, fermented dairy products were associated with the fall in risk. Consumption of high-fat fermented products, and of milk, had no impact. The research, published in the specialist journal Diabetologia, was not designed to probe why eating low-fat fermented dairy products appears to be so beneficial. One future line of inquiry is whether the impact comes from probiotic bacteria and a special form of Vitamin K they contain, according to the paper, headed by Nita Forouhi, an epidemiologist at the University of Cambridge. 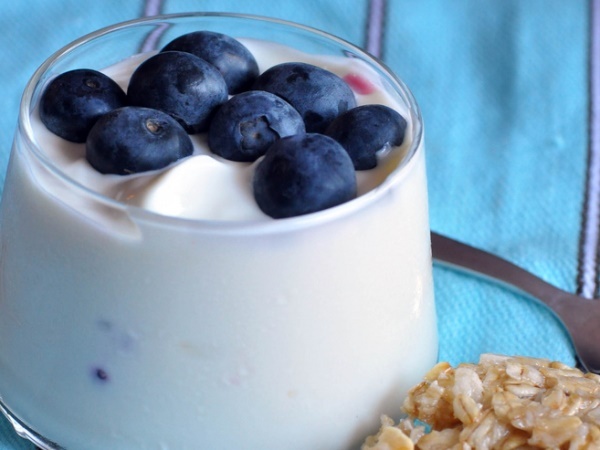 "At a time when we have a lot of other evidence that consuming high amounts of certain foods, such as added sugars and sugary drinks, is bad for our health, it is very reassuring to have messages about other foods like yoghurt and low-fat fermented dairy products that could be good for our health," said Forouhi. The study took into account factors such as obesity and a family history of diabetes that could potentially skew the results. But, its authors acknowledged, it also had a limitation. Volunteers' eating habits were recorded in exacting detail at the start of the study but this information was not updated during the ensuing 11 years. So it was unknown if or how they changed their diet over this time.